Thousands of military members come home from Afghanistan, Iraq, and prior war zones suffering from traumatic brain injuries (TBIs). In fact, this type of injury is so common in recent years that many refer to it as the “signature wound” of the recent wars. In addition, many veterans who return home have not been properly diagnosed and may not be aware that they are suffering from this injury that can have serious and disabling effects. TBIs can happen in a variety of circumstances and some of the most common include getting hit in the head, having an object penetrate your skull and brain, or even from a sharp jolt or vibration that shakes your brain inside your skull. When any of these occur, the brain tissue can be damaged, which in turn disrupts the normal functioning of that part of the brain. This injury is particularly common due to insurgents in Iraq and Afghanistan regularly using roadside bombs and other improvised explosive devices (IEDs) against U.S. military members. Cognitive effects – Trouble processing information, difficulty with both written and verbal communication, challenges reading and writing, lack of concentration and attention, memory problems. Physical impairments – Slurred speech, lack of coordination and balance, sensory impairments. Behavioral changes – Changes in attitude and personality, angry outbursts, no emotional control, lowered inhibitions, poor judgment, depression and anxiety. As you can imagine, all of these effects can make it very difficult to hold down a job or even participate in social activities. TBIs can also lead to the development of seizures, premature Parkinson’s disease, premature dementia, premature Alzheimer’s, and more. 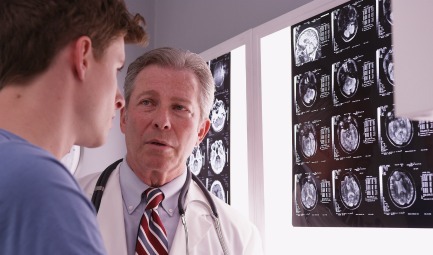 In the past, the VA has not fully considered all of the ways that a TBI can be disabling. 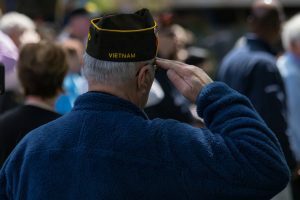 However, in recent years, new rules have been passed that make it easier to obtain veteran’s disability benefits for TBI and related mental conditions that may later develop. If you sustained a TBI at war and believe you need benefits, call our office to discuss your eligibility. Traumatic brain injuries are invisible and complex injuries and many veterans suffering from a TBI understandably feel misunderstood. As a committed advocate for veterans, VA disability attorney James R. Comerford has seen firsthand how significantly a TBI can affect your life and knows how important benefits can be to you and your family. The Comerford Law Office will fight for your rights to benefits for your TBI, so please today at 312-863-8572 to discuss how we can help you.